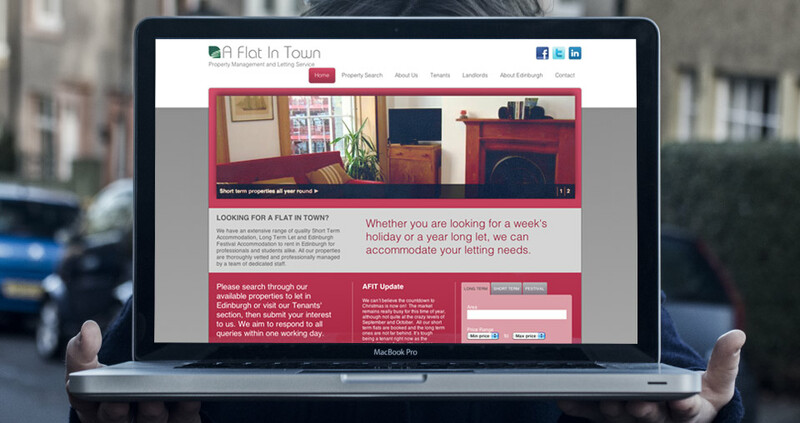 ‘A Flat In Town’ deals with a large number of properties in and around Edinburgh. 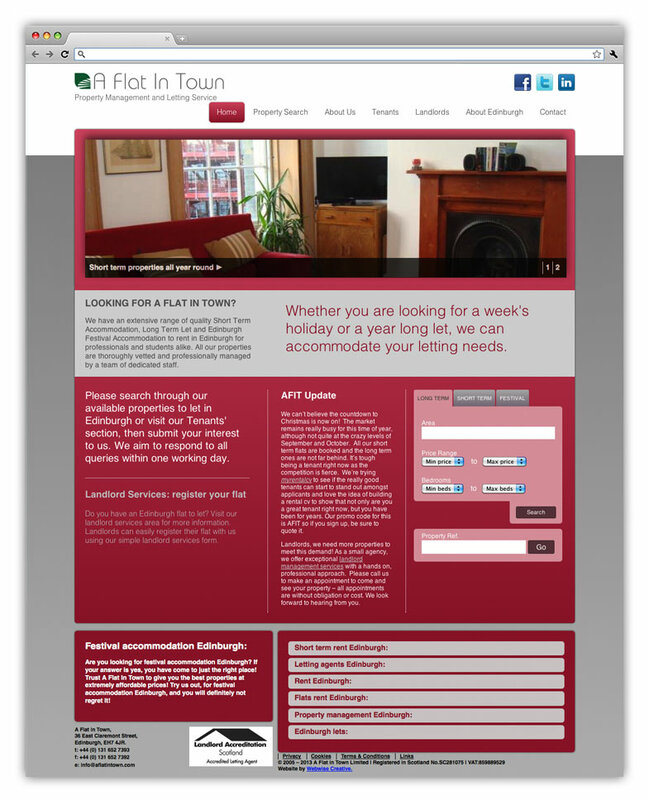 Their properties range from Long Term Rent, Short Term Rent to Festival Rent only. 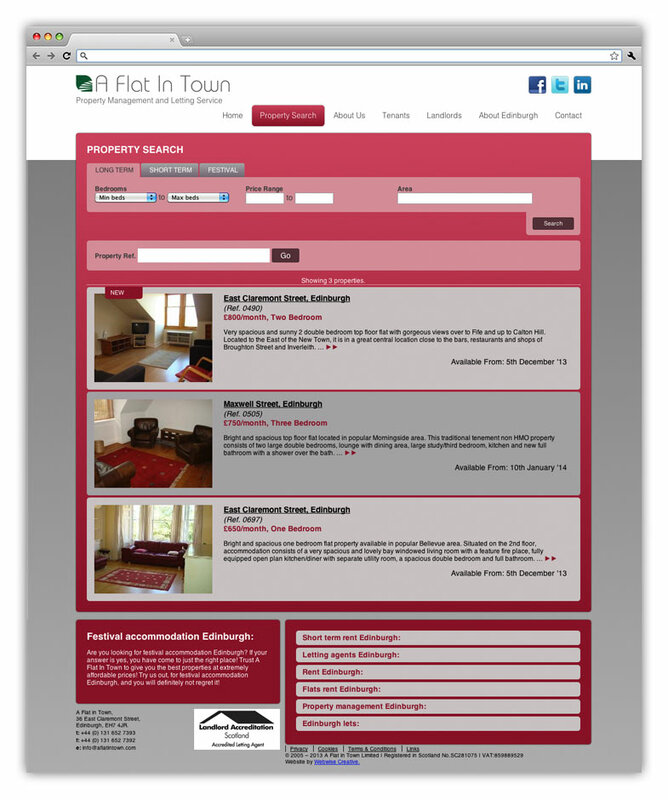 The list of their properties covers the whole market in terms of price range, location and length of the rental period. A comprehensive website was created to make all information quickly available to visitors as well as to keep data clear and well organized to users through the back-end-system. 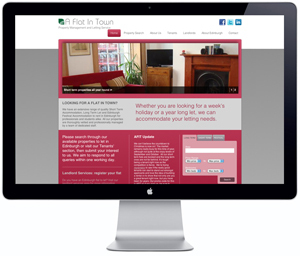 The front page displays regular updates, brief information to Landlords and Tenants and provides a quick property search to make information easily and quickly accessible to everyone. 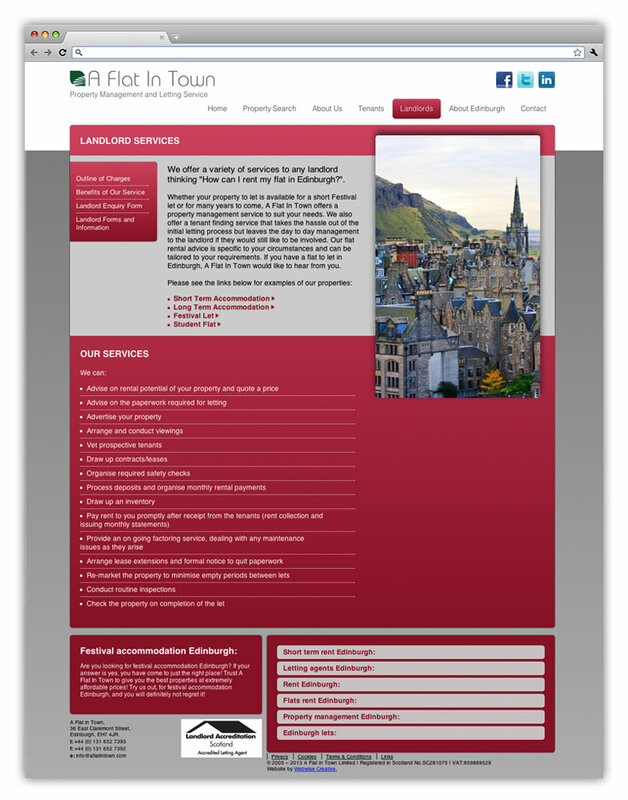 The website was built on a SEO friendly, bespoke WordPress layout, with a customized internal search engine.